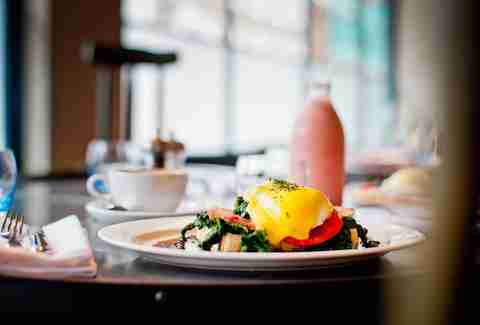 While this might be on your list of late-night spots, you should definitely return to the scene of the crime for brunch as well. If you’re feeling a little fragile, you can get something small and simple like the ham & cheese croquettes, or go for the full deal with one of its juicy burgers (throw an egg on it if you really want an experience). Grab a couple mimosas as well -- the juice is fresh squeezed! Three words for you: Bacon. Naan. Roll. 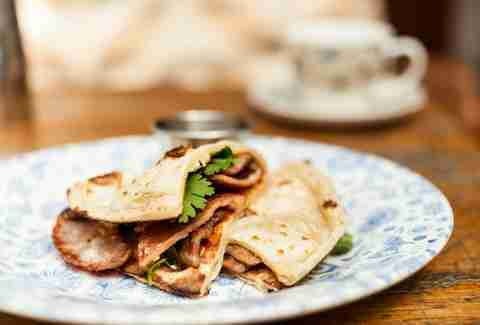 Flaky-yet-chewy naan bread with bacon that's been cured with salt and sugar over the course of five days and then cold-smoked over oak chips. Go ahead, read that again. And then there’s the rest of its brunch menu, loaded with Indian twists like the Kejriwal w/ fried eggs on chilli cheese toast, and speciality breakfast cocktails. How do you know it's good? 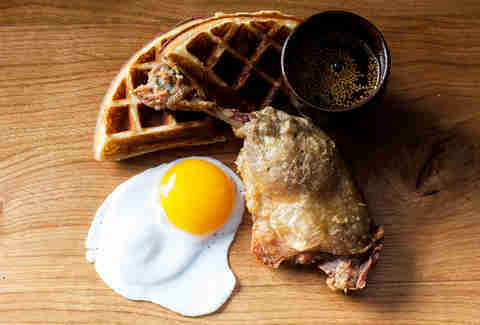 Because this place is named after a brunch dish: confit duck and a fried duck egg, stacked on a crispy waffle drizzled over with mustard maple syrup. 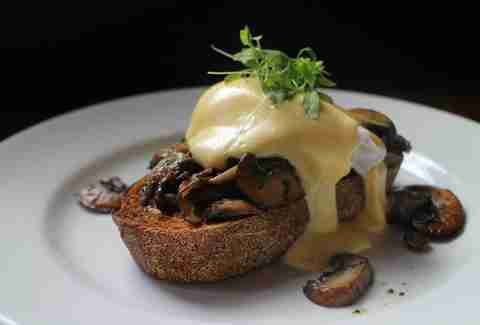 Or, of course, there's the Ox Cheek Benedict with hollandaise and Sriracha. 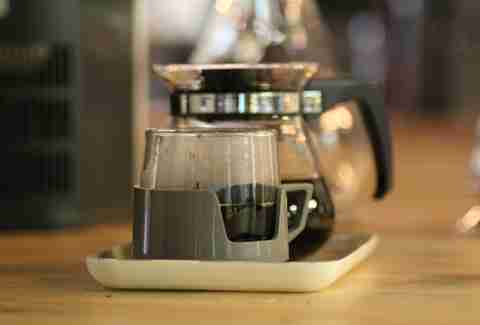 But then there’s also Richard Woods' drinks like the Ristretto Negroni, which is slow-dripped through coffee grounds. Chorizo hash brown with mushrooms and poached eggs? Lobster Benedict? Can't decide? Then get a bunch of small plates and try everything. 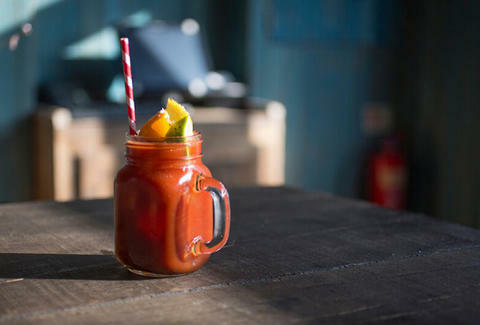 Its drink list will help the wake up process with a selection of "Horticultural" drinks made with some of nature's finest, plus of course, good old-fashioned booze. These guys got into the brunch thing early, adopting the New York mentality that eggs, bacon, waffles, and lots of booze is a great way into the afternoon. The ground floor is huge, which means you can pretty much always find a seat, or if you’re really lucky, snag one of the overstuffed sofas in the back and settle in for the long haul. 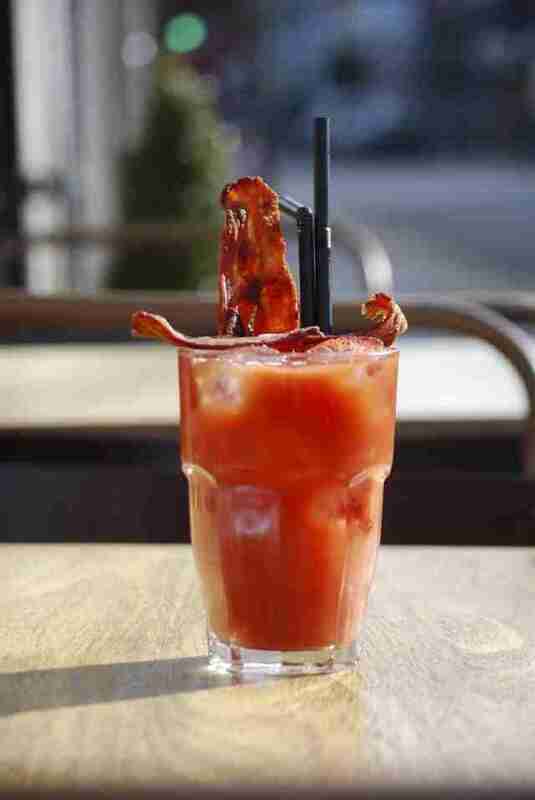 Lets just say this: its Bloody Mary comes with bacon. That in itself makes it an obvious choice before you even get to the food. 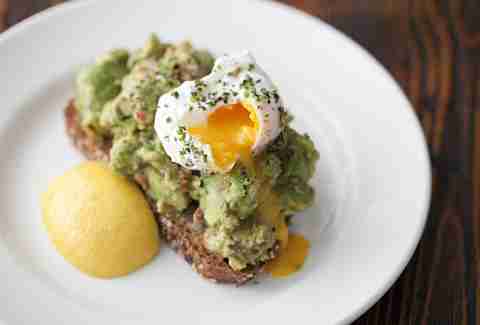 Which, by the way, involves potato & courgette rosti with bacon, avocado, and poached eggs. Bloody Marys are personal. Some like them spicy, others more pickled. 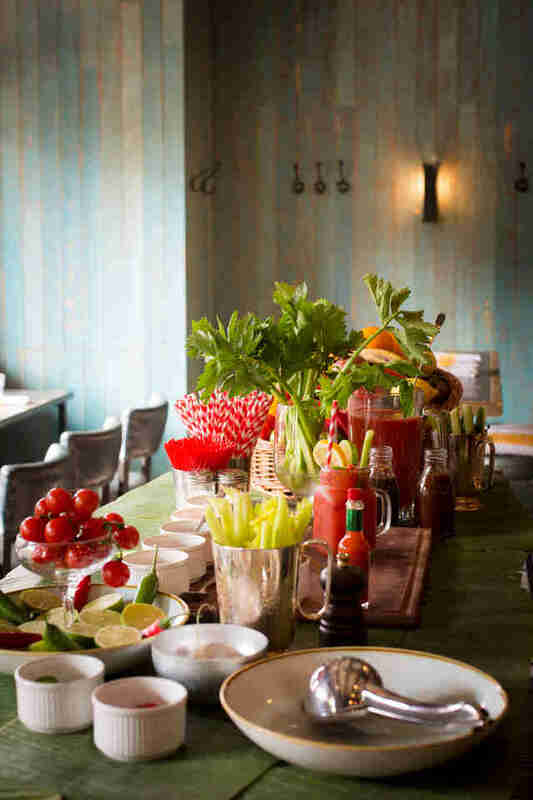 At Q, they’ve made it simple with a Bloody Mary station where you can customize to your heart's content making that glass of recovery exactly how you need it to be. With all the brunch basics covered, you can add its house-smoked salmon to anything, or just get a good old-fashioned full English. Huge portions and extremely reasonable prices await at this Broadway Market number. The Barrow Boys Breakfast will leave you fat and happy with cumberland chipolatas, bacon, black pudding, mushrooms, baked beans, plum tomatoes, hash brown, fried egg, and toast -- and be sure to wash that down with a Toy cocktail (tequila, coffee & Nutella). 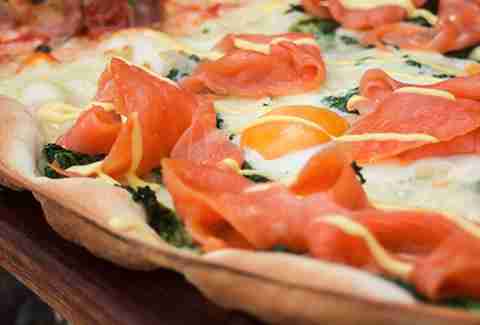 With two specific seatings at preset prices, Bunga Bunga allows you to choose from a limited, buffet-style menu of your favorites done Italian-style (breakfast pizzas, essentially, incl. An Englishman's Breakfast w/ sausage, mushrooms, pancetta, tomato, and a soft egg), plus starters, sweets, unlimited Prosecco & Bellinis to accompany stage shows & karaoke. The Electric's full English is fairly legendary, and that's not to mention its honey fried chicken with chilli and sesame seeds. Looking for the liquids? Its bar program will make sure you want for nought, with cocktails, Marys, craft beers, and even boozy milkshakes for good measure. This end of town turns into a different world on the weekends. Stylish and blessedly quiet, sit back, relax, and let the Prosecco flow like water when you get two/three courses filled with classics like steak & eggs, house-cured salmon with lemon & capers, or even larger dishes incl. slow-cooked ox cheek, and the terrifyingly good Triple Pig Burger: pork patty with smoked bacon & pulled BBQ pork shoulder. 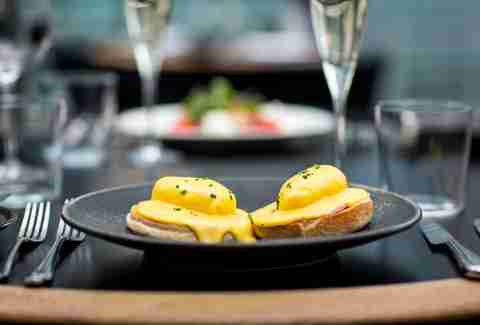 Once you get past the fact it’s in the InterContinental, this is the kind of brunch that will have you rolling out the door in a food coma. It goes all out with its all-you-can-eat (and drink!!) 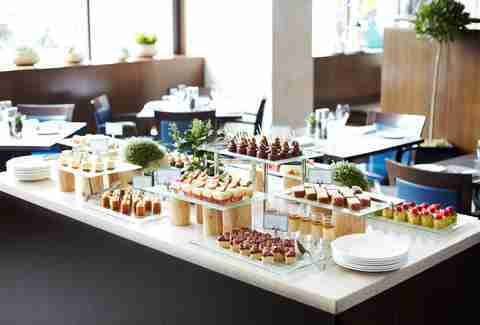 buffet, which includes everything from pancakes and waffles to omelets and tapas-style mains, and unlimited Prosecco and Bellinis. It’s up for debate what's the best here: coffee, booze, or food. 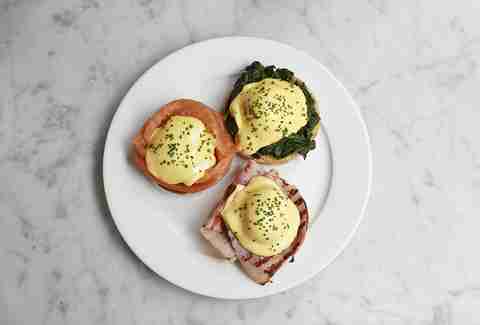 But however you look at it, you’d be a fool to not come here for brunch, when you can acceptably have all three. 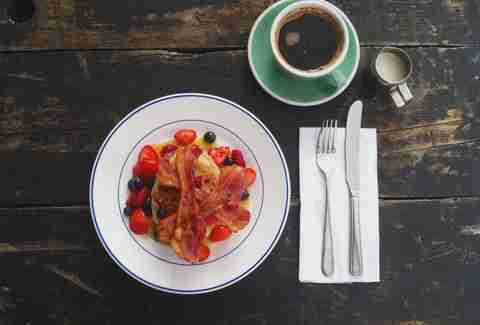 Score some Cornbread French Toast with bacon, rocket, and avocado, then throw back a coffee, and finish up with an Espresso Martini.